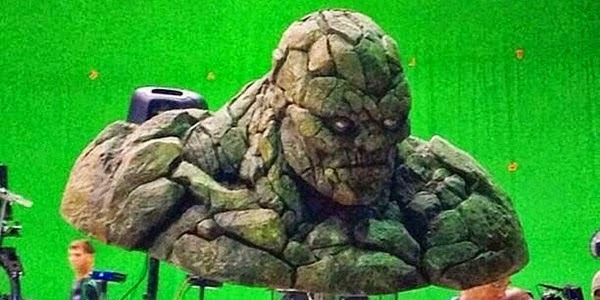 Josh Trank is currently in post production on his Fantastic Four reboot, and while and a couple of cool pics have shown up we thought were to cool not to share. The first pic is supposedly leaked out from the green screen set of the film featuring our first look at Doctor Doom. The second is a look at The Thing which Trank has confirmed is from the film. Fantastic Four hits theaters next summer!